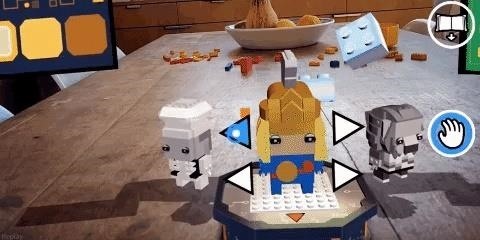 The app that Lego demoed at this year's iPhone launch event is now available in the App Store, and it showcases several new capabilities available in ARKit 2.0. "Children today are mastering the art of finding new moments and forms of play and Lego Playgrounds will provide a 'live' opportunity to test and learn directly with them," said Tom Donaldson, vice president of the Creative Play Lab at the Lego Group, in a statement. "It's truly a unique way to engage with them in a fun and experimental way and bring them close to our innovation process. 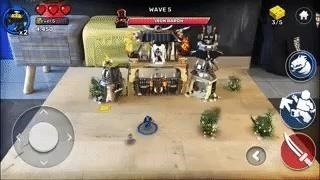 Having this direct-link to users creates a win for everybody – sharing the latest play experiences is great fun for children and highly useful for our Lego design and development teams who can take their feedback and use it to make launch experiences even better and more engaging." The app is a free download with no in-app purchases, ads, or marketing messages. 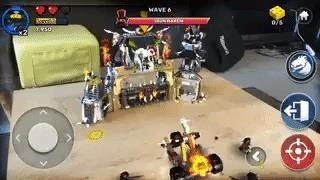 However, in order to fully unlock the games, users will have to buy the Lego Ninjago Dragon Hunters Dieselnaut ($109.99) and Dragon's Pit ($129.99) playsets. If you need a taste of the game before committing to the purchase, there are five free levels that come with the app that only require a flat surface to anchor the 3D content. The games follow the tower defense/survival action model: Players can deploy and share virtual objects to build improvised structures (hey, that sounds like Fortnite), claim power-up items to evolve their character's abilities, and compete for high scores. Since ARKit 2.0 dropped with iOS 12 in September, the uptake of multiplayer, persistent content, and object recognition features in the App Store has been relatively slow. Luckily, Lego rides onto the scene as Apple's knight in shining armor. Of course, the AR development landscape has changed greatly since Apple introduced ARKit in June 2017. 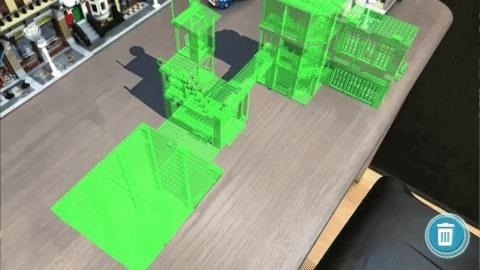 Google's competing ARCore toolkit for Android, along with cross-platform bridging tools from software makers like Unity, give developers a level of congruency for building apps for the two dominant mobile operating systems based on the matching capabilities, like surface recognition and image recognition. Now, both companies have differing multiplayer protocols, and Google, for the moment, lags behind Apple in persistent content and object recognition in ARCore. And while there are cross-platform AR cloud SDKs that could bridge the gap, those tools are still in beta stages. Of course, there's also this shiny, new toy called the Magic Leap One that has distracted the AR development community. So, for the moment, the incentive to adopt the latest features appears to be fragmented, with many developers apparently satisfied with first-generation mobile AR toolkit features. 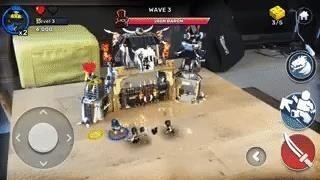 Nevertheless, it's a good thing that Lego has dipped its toe in the next-gen mobile AR pool so that everyone (particularly indie developers) can know that the water is fine, and they should jump in, too.